Children with special needs have unique care requirements. our care professionals are trained to provide in-home pediatric care and can provide comprehensive case management and support for children with disabilities and special needs. Children with disabilities can do great things. Parents know this; they’ve seen their child beat the odds before. But it takes a lot of work and a lot of love and a lot of patience. It also takes some know-how and the right therapies. Each child is an individual and has his or her own special needs when it comes to therapy, nursing care and activity levels. That is why At Home Personal Care has an entire pediatric care team devoted to working with children with disabilities and their families. Together, we can design care and therapy plans that will help your child shine to the best of his or her capacity. 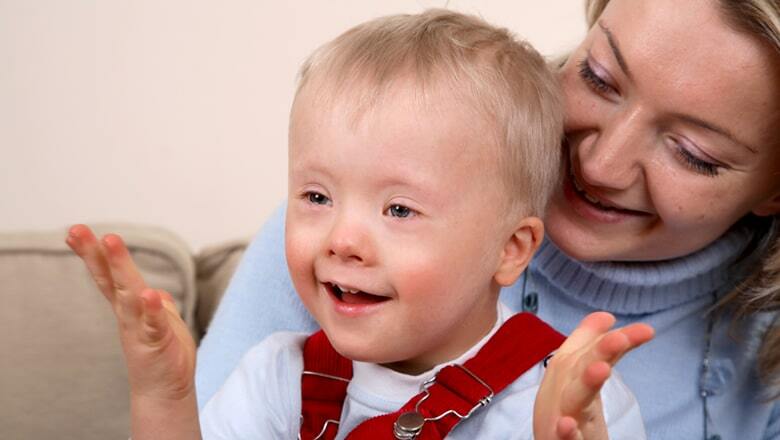 Some children with disabilities require ongoing skilled nursing care. They may have medical conditions that need continual monitoring, pharmaceutical therapies, testing, etc. At Home Personal Care has a team of highly-skilled, registered nurses who specialize in caring for special needs children. Whether a child has mobility impairments, a serious medical condition in need of ongoing care, developmental delays, sensory integration impairments, metabolic disorders, nervous system disorders, etc., our compassionate, skilled nurses can provide the care your child needs to manage the condition, provide comfort and improve outcomes. Children with disabilities can often flourish beyond expectations with the right types and combination of therapies to help them grow and develop. Sensory integration therapies, speech and occupational therapies and other educational and physical activity supports can strengthen muscles and neurological connections and help children and their families find joy in the journey together as children continue to develop and progress. At Home Personal Care Services will provide a Home Health Aide or Certified Nurses Aide to assist with bathing, dressing, feeding and light house keeping. Caring for a child with special needs is deeply rewarding; but it can also be exhausting mentally, physically and emotionally. Parents and other trusted family caregivers can easily experience periods of burnout if they don’t take time to care for their own needs as well. Yet, children with disabilities often need more than just a regular babysitter to care for them so that parents can have some time to recharge their batteries. At Home Personal Care is here to help. We can provide a skilled member of our team who knows your child and his or her needs so that you can take some time to recharge, take care of other responsibilities and ease your mind so that when you return, you will be refreshed and ready to give your child the best of you. We are here to help children with disabilities and their families to grow, thrive, flourish and recharge. To learn more about how we can help, please contact At Home Personal Care today to talk with our skilled pediatric nursing care team: (703) 330-2323.